Anyone who has an interest in the history of Voynich is well aware of the unfortunate and disastrous attempts of William Romaine Newbold to solve its mysteries. Although an earnest and intelligent man, he could probably be considered the first to fall victim to the vast, nebulous, nature of the problem, in which one can often see any solution their individual proclivities lead them to. 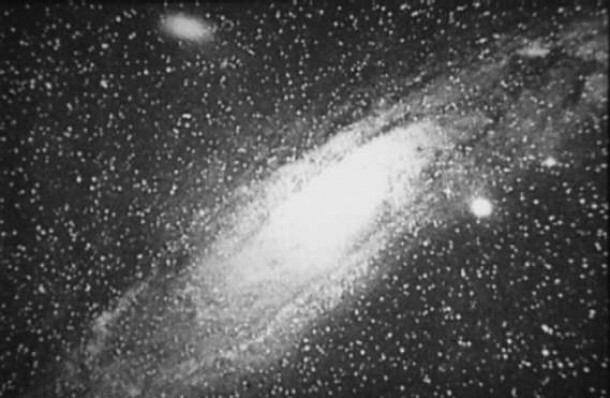 But nebulous is a bit of an appropriate and even punny adjective, in Newbold’s case, as his most famous error was in believing that Roger Bacon not only wrote the Voynich, but possessed optical equipment which allowed him the ability to discern the spiral structure of the Andromeda Galaxy… or “Nebula”, in his time. I won’t here deal with the many other facets of Newbold’s infamous claims, not the least of which was the belief that each character was made up of microscopic segments, which were therefore coded information; or the resulting long strings of subjective results from those segments, which became immense anagrams which would and did yield infinite and diverse results. “…that in his opinion it unquestionably represented a nebula, and that the man who drew it must have had a telescope”. And here, too, we see Newbold substituting Dolittle’s “telescope” with a “concave mirror”. I see in this a disingenuous, unscientific manipulation of the purely subjective results of Newbold’s, to reflect what he must have suspected: Telescopes were out of the question for Roger Bacon, but there were historic hints of concave mirrors being used in this capacity, at a very early date. … for Newbold to simply see a few microscopes instead of “jars”, a couple of diatoms and such, and maybe, M51 from Isaac Roberts’ book. If this is the case, I would imagine Voynich’s great frustration. Rather than being handed the desired reasonable, and yet exciting, Roger Bacon attribution, Newbold instead managed to taint the image of the Cipher Manuscript, along with his own reputation, and even, a little bit, the name of Roger Bacon himself… and thereby destroy any chance Wilfred Voynich would sell this manuscript in his lifetime. UPDATE, 6/11/14: Elitsa Velinska has found a really striking similarity to the f68r spiral, in Nicole Oresme’s, “Traité de la sphère”, BNF Français 565. It has the stars, the T/O center, and the “frills” around the edges, that the Voynich spiral all have. All that is missing are the spirals, really. 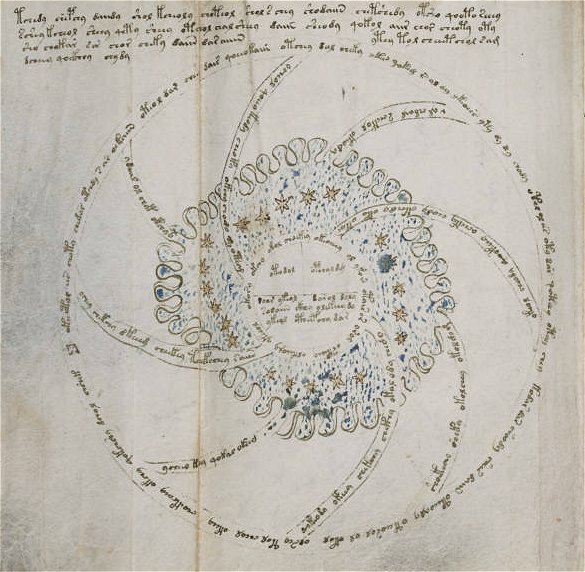 This find, in my opinion, is so good that it alters my speculative reasoning as to the original purpose of the illustration in the Voynich manuscript: I don’t believe it would have been put there AS a nebula, to fool anyone… but probably was influence by the image of Orseme in some way, directly or indirectly. Of course, Newbold’s opinion on it, while wrong, still has certain implications and possible causes, some of which still stand, as stated above. UPDATE, 9/30/14: After much recent discussion about this image, which began when Robert Teague noted a very close alignment of the Oresme illustration with the f68r Voynich one, I’ve come to realize that the original possibility still stands: That perhaps the artist of f68r was a forger, and was intending to imply that this was a spiral galaxy… and that this was the original intention after all. Of course that is purely speculative, and there is no way to prove it. It may certainly be wrong. But considering that these spirals, as attached to the Oresme-type illustration, are not found elsewhere so attached, nor is there any good reason for them to exist there (none at all, offered, as of this writing), in the first place, I have reconsidered, and think it possible that this “addition” could have been for this reason… and that Newbold simply “mucked it up” by going to Andromeda instead of M51 or M100. 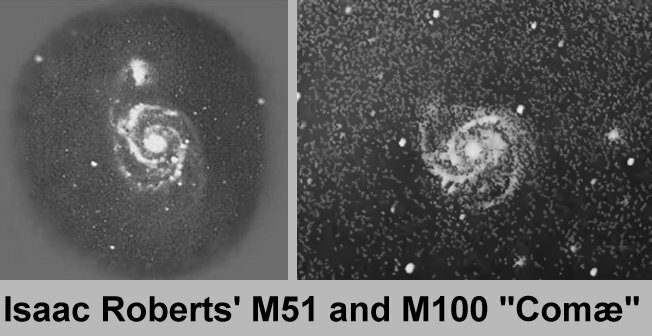 That is, that the f68r illustration is a false attempt to look like a 13th or 17th century astronomer’s version of a nebula, as seen and understood by an early 20th century forger, who was trying to imply the use of advanced optics by the author of the Voynich Manuscript. This entry was posted on May 31, 2013 at 8:55 pm and is filed under Dating the VMs, optics. You can follow any responses to this entry through the RSS 2.0 feed. You can leave a response, or trackback from your own site.